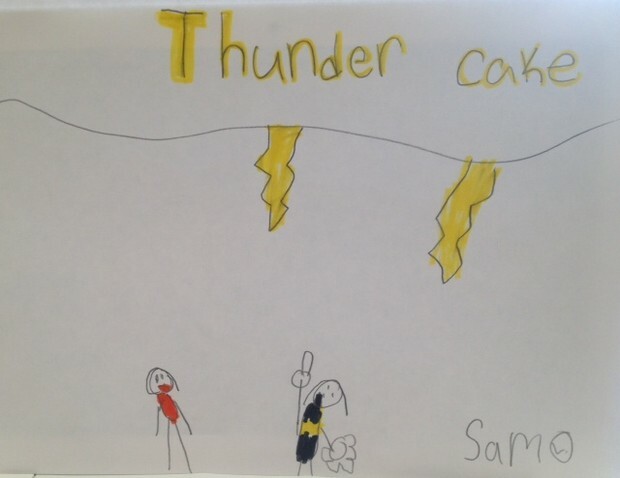 If you do not like gray skies then this is the book for you.Thunder Cake is a book about a girl named Patricia and she has a fear of thunder and her Babushka distracts her by making her count how many miles away the thunder is so she can know how much time she has to make the thunder cake. I think that Babushka told Tricia to count the miles to get Tricia to look at the thunder so she could notice that thunder is not that scary and she could lose her fear of thunder. I like the author’s message in this story because everybody has fears they are trying to overcome. I also like how the author gives the recipe for thunder cake at the end of the story. The illustrations are very realistic and show the emotions of the characters. I know you will love this book as much as I do!